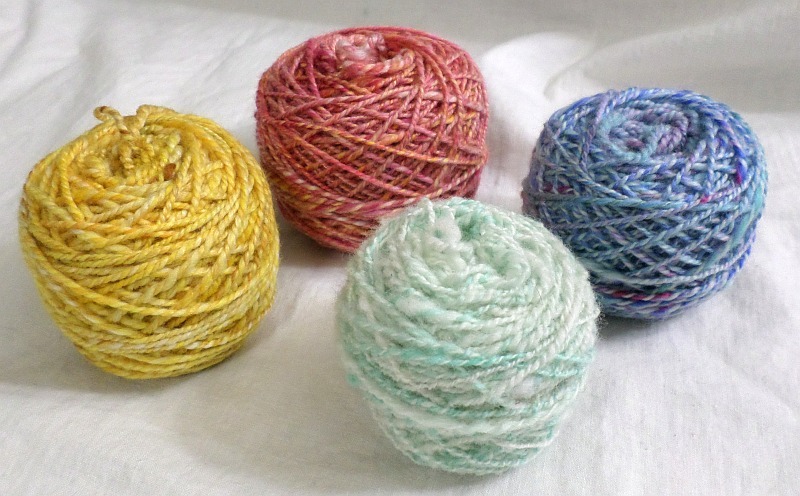 I have little respect for people who sneer at acrylic yarn as though it and anyone who uses it is a sub-citizen. (Evidently they also have little respect for me…) While I love the idea of 100% natural, I don’t balk at the beautiful results we can achieve with synthetic stuffs. The first time I used acrylic fiber on my blending board I was a little nervous. What if the fibers just sat there, stuck in the board? What a mess to have to clean up. 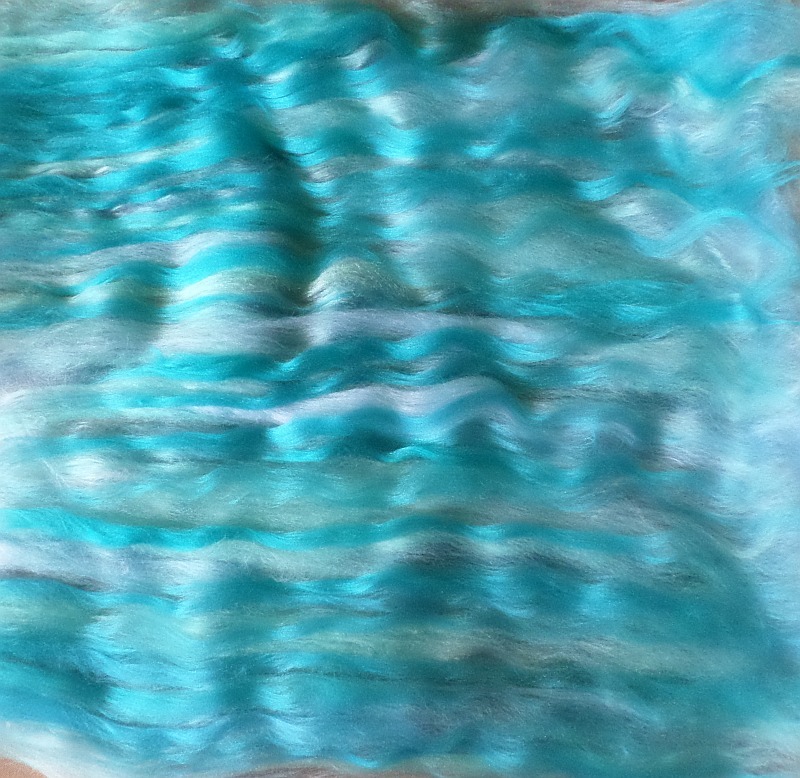 So I started with a thin layer of wool, added some Tussah silk, bamboo, acrylic and more wool. It came off just as easily as other blends. Spun it on my wheel. Worked great. Next I tried straight synthetics, but I only used about 1/3 of the board—just in case. 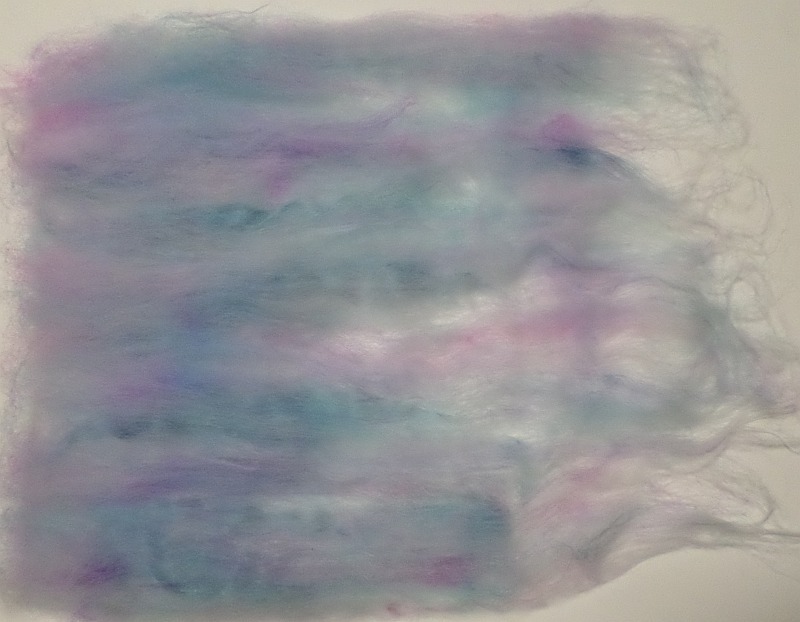 (Technically silk is not a synthetic, but I frequently lump it into that category in this post because it’s too annoying to type out synthetic and silk every time.) This blend also came off like a dream. I didn’t take a picture of the acrylic yarn by itself, so here it is in a crowd with wool yarn (the yellow and red wool cakes were also mixed on the blending board). 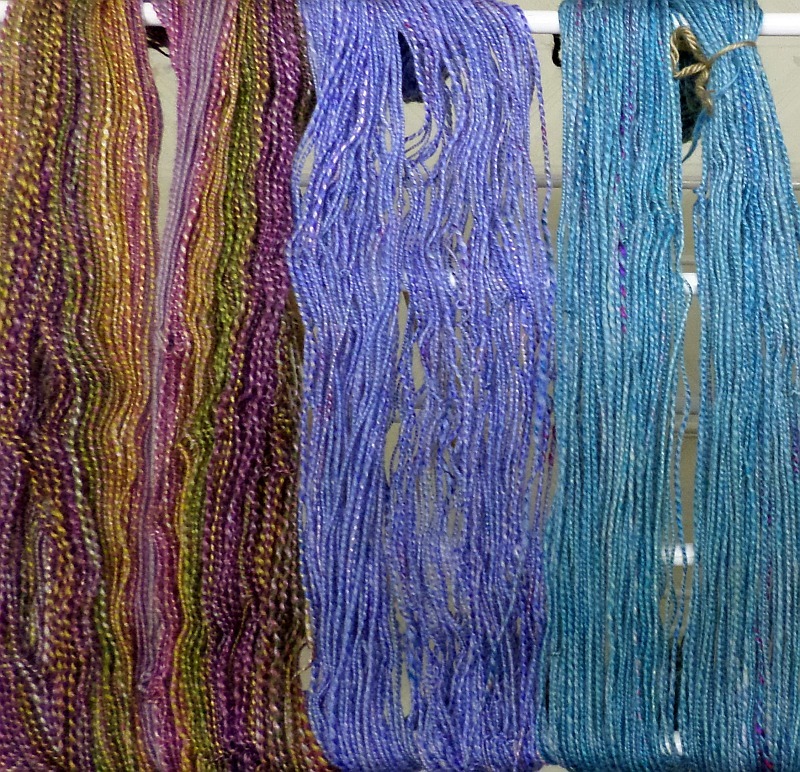 Something I noticed from the experiment was that the acrylic yarn has a bright translucence the wool blend lacks. It’s difficult to capture in a photo. 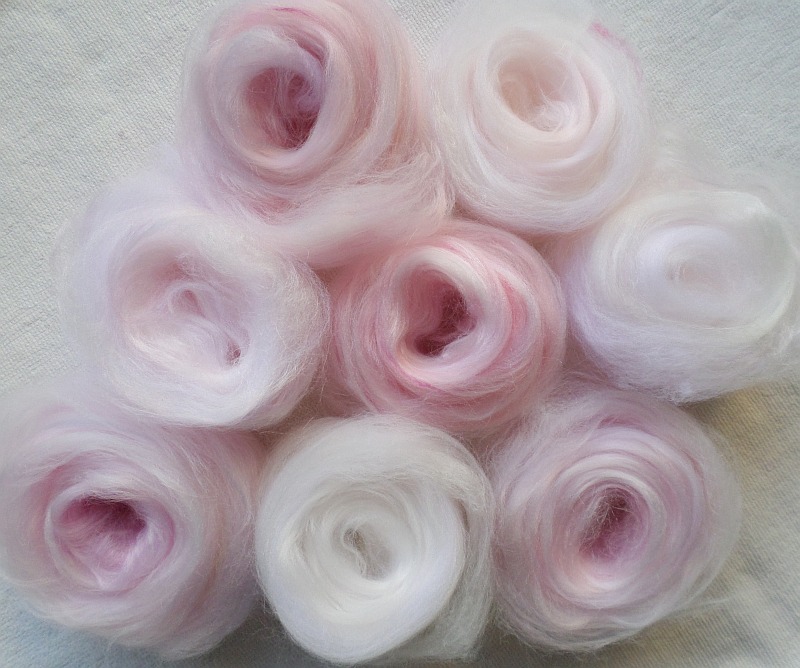 That might explain why I usually prefer to spin wool blended with silk. I definitely prefer the color variations I can create in my own blend. 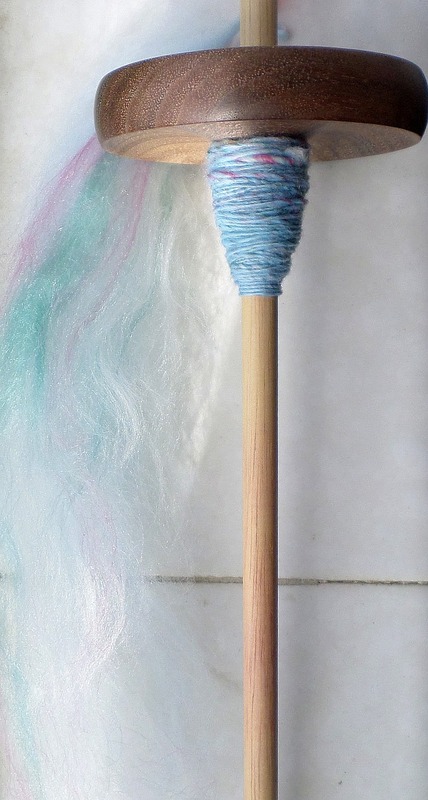 I really love pin loom weaving and love seeing the beautiful results of MY OWN handmade yarn. 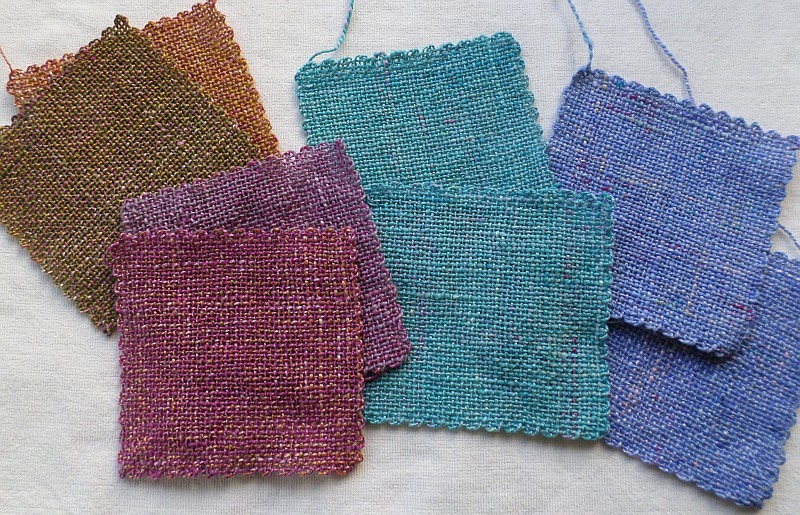 JoAnn, Michaels, and Hobby Lobby carry several yarns you can use in acrylic blends. 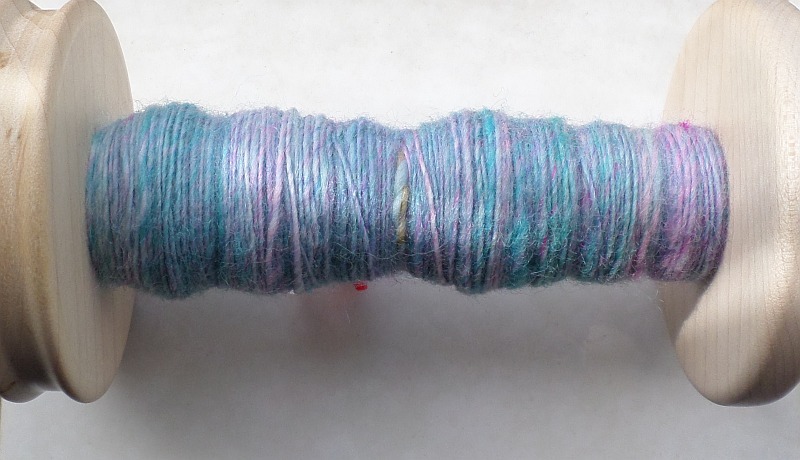 Look for thick, loosely plied, or not at all plied, yarns. Be careful to buy yarn that will unply and draft easily. Lion Brand Landscapes—this yarn is shiny, a bit difficult to use because of the set twist, but there are gobs of colors and you get several on each skein. It’s really useful yarn; I use it mainly for accent color rather than main color. Loops & Threads Chunky Luxe Big!™ Yarn—this yarn is shiny and slippery, super thick; great for main color. Loops & Threads Ginormous Big!™ Yarn—this yarn has an easy to break thread wrapped around it; it’s not shiny and has a bit of texture. 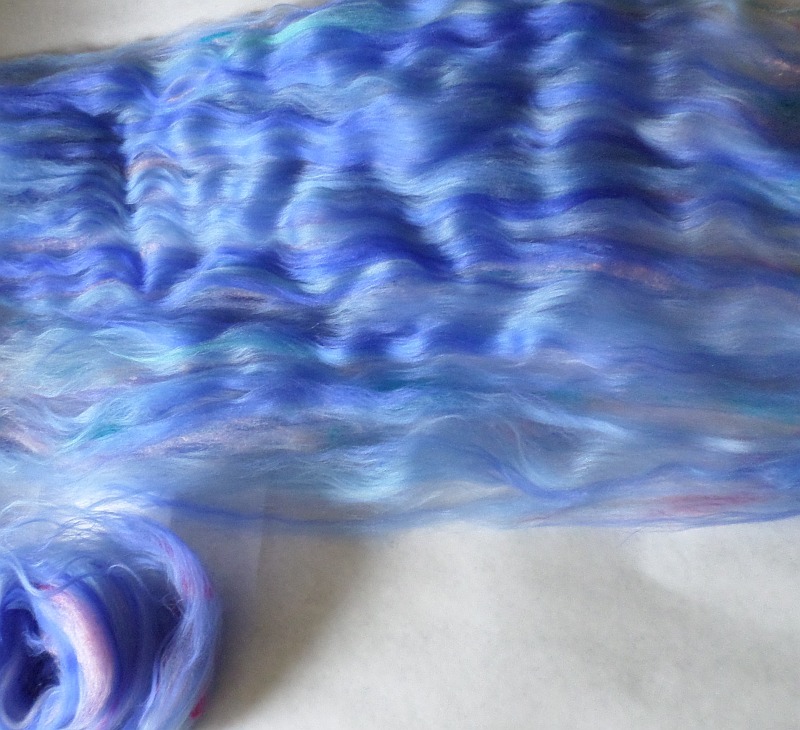 It’s great for main color yarn. 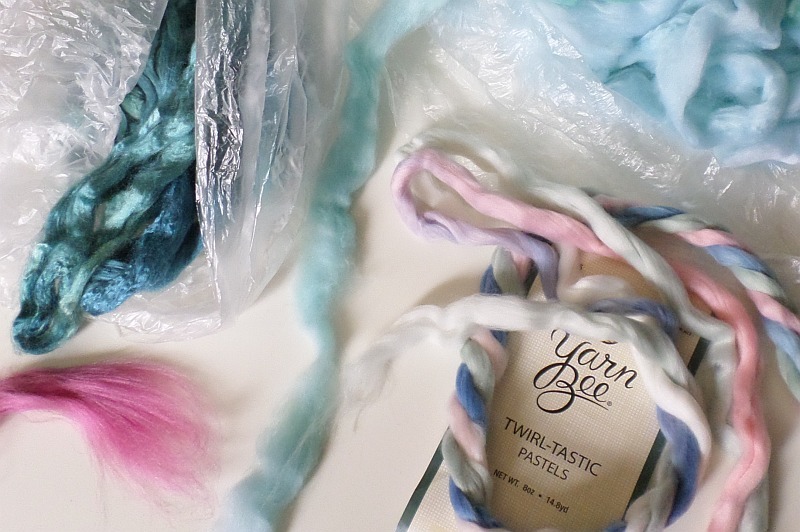 Hobby Lobby’s Yarn Bee line has several thick yarns you can unply and use for main color. I’ve mentioned some of them in the Part 1 post. Here’s a link to all the bulky yarns they sell. 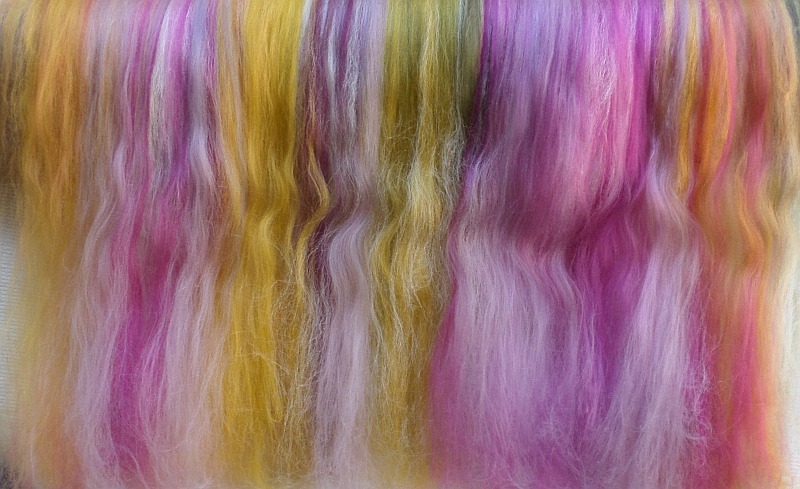 Look for Twirl-tastic, Sweet Shades, Watercolor Hues, and Colorplay.